This is the second in a series of posts by Ondiflo, a blockchain-based ticketing solution platform exploring ways to integrate blockchain technology into the oil and gas industry. In this post, we will explore the history of innovation in the past few decades. By exploring past use cases of companies that have failed to innovate and thus disappeared, we aim to alert oil and gas companies to the importance of recognizing and incorporating innovation. If you missed it, check out Ondiflo’s first post on The History of Disruption in the Energy Industry. The energy industry — oil and gas in particular — has been subject to centuries of disruption and evolution in the face of innovation, geopolitics, and regulation. Companies like Standard Oil that have fractured or disappeared may seem like lessons of the past to those in the industry. 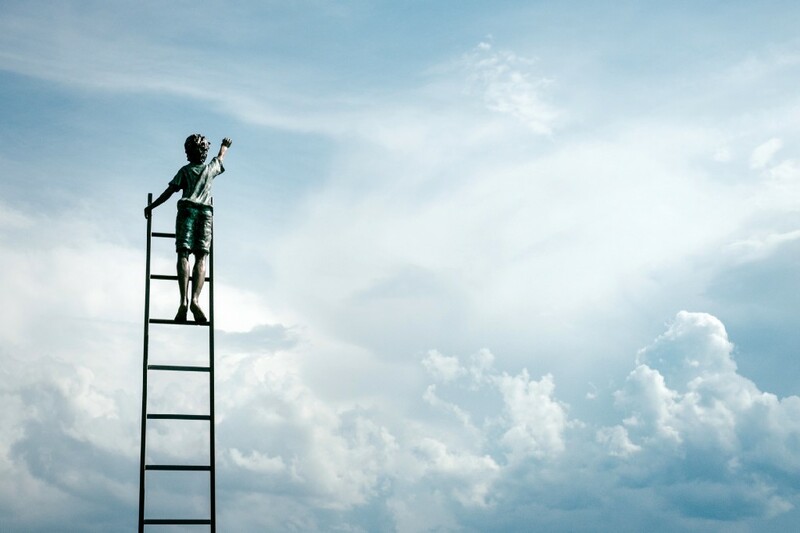 Recent examples from the technology industry, however, reveal just how quickly the inability to innovate can result in company failure in today’s economy. Oil and gas companies increasingly rely on popularized technology to succeed — i.e. the rising, consumer-facing advancements in solar and clean energy — and we believe blockchain technology will be the next. In this post, we highlight three examples of companies in recent history that have and have not adopted new technology, business models, and behaviors — and the impact of that decision. Borders Group opened its first bookstore in 1971 and filed for bankruptcy in 2011. Borders’ longstanding success was predicated off tremendous innovation in a time when few retailers applied data analytics. The company invested in tremendous inventories for each store, providing the “long tail” solution for customers seeking obscure titles. Moreover, they pioneered an inventory system that could predict what consumers across the nation would buy and optimize or iterate accordingly. Trouble emerged for Borders in the mid-1990s, when it invested heavily in CD and DVD sales just when the industry was showing signs of preferring digital. In response, Borders doubled down on its brick and mortar stores, announcing in 1997 an international expansion strategy to reach 1,000 global stores. Its stores, however, notoriously lacked soul or experience. Late in the 2000s, Borders incorporated Seattle’s Best coffee into its stores — notably later than Barnes & Noble. To Border’s credit, it recognized early on the potential impact of the Internet on book sales, and launched Borders Online in 1998. In 2001, however, it handed over its online sales to Amazon, allowing the company to manage that side of the business. Essentially, Borders directed its customers to a larger, more comprehensive site during the most formative years of e-commerce. By the time Borders ended its partnership with Amazon in 2007 in order to launch its own site, it was too far behind in online innovation to compete with either Amazon’s or Barnes & Noble’s customer base. Borders was also tragically late to market with an e-reader, not capitalizing on the importance digital was having in the world of literature. Amazon’s Kindle was first to market in 2007, followed by Barnes & Noble’s Nook in 2009, Apple’s iPad in early 2010. Borders did not release their e-reader, “Kobo,” until mid-2010, by that time fourth to market. The factors leading to Borders’ disappearance are many. Among the most important of lessons, however, were: proprietary development and time to market. Borders recognized the importance of facilitating online business, but did not recognizing the value of building a proprietary online business they could call their own. By outsourcing that part of their business to Amazon for nearly a decade, Borders was unequipped to try to recapture the online market when they launched a proprietary site in 2008. Moreover, by being late to market, Borders was betting on an already-inundated customer base to bolster digital sales. Tapping into a saturated market rarely works, especially when competing with veteran products like the Kindle or multi-use products like the iPad. At the end of the day, Borders knew and predicted the changing reading behavior of their customers, but failed to act in a timely manner to capitalize on changing customer expectations. Tower records launched in 1960 and, until its bankruptcy in 2004, was a cultural and retail powerhouse in the music industry. Founded by Russell Solomon as a mom-and-pop record store, Tower Records expanded globally over the following decades, bolstered by a coming-of-age baby boomer generation and a renaissance in counterculture music. Tower was among the first companies to pioneer the idea of a music retail chain, selling CDs, DVDs, cassettes, devices, and accessories. Unlike Borders, for example, Tower Records ingeniously provided an experience — even a way of life — for its customers. It became synonymous with the music industry and with the counterculture movement. Management allowed stores to stock music that would best sell to the surrounding community, stimulating local personalization and innovation rarely seen among large retailers. The rise of the Internet is too simplistic of a cause for the fall of Tower. In fact, the company even launched its own site, tower.com, in 1995, making it one of the first ever retailers to open an online branch. Rather, it was the change in behavior facilitated by the Internet, to which Tower failed to respond, that spelled its decline. The launch of Napster in the late 1990s — though not the case of Tower’s decline — revealed its weakness. And the impact of Napster was not allowing consumers to get music for free. Rather, Napster allowed customers to choose which individual songs they wished to download. Customers, therefore, grew used to the more robust satisfaction of downloading and creating a mixtape of fifteen of their favorites rather than purchasing a whole CD to hear a few of their favorites. By the time this fundamental shift in behavior and expectation had taken place among consumers, Tower had invested heavily in sales of entire CDs, which were higher margin but higher retail. Meanwhile, major retailers such as Target and Walmart were offering CDs at low or negative margins just to get people through their doors. When stock was depleted, these retailers began only stocking contemporary hits, forcing people to move online to look for other music. Tower records, by not investing in digital or singles and not being able to compete with price gouging by competitors, hemorrhaged money before declaring bankruptcy in 2004 and closing its last store in 2006. The lesson learned from Tower is most acutely a behavioral one. The Internet alone did not account for Tower’s decline. The Internet did, however, evolve customer behavior and created a new set of expectations, to which Tower was unequipped or unwilling to accommodate. Tower should serve as a unique lesson that it is not innovation alone that can cripple a company — but rather, it is the new behaviors that novel technology allows (or forces) that can make a company obsolete. 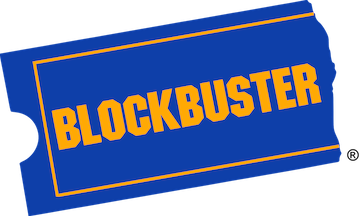 Blockbuster is perhaps one of the most cited examples of a corporate behemoth struck down by technology in our generation. Launched in 1985, Blockbuster reached its zenith in 2004 with 9,000 stores in the US before filing for bankruptcy just six years after. Blockbuster, however, was not destined for failure. In fact, the company was well established to succeed. It was at the forefront of innovation when it launched, implementing big data analytics to predict customer behavior and allocate inventory accordingly. It survived — even thrived from — one major market disruption with the shift from VHS to DVD. In 2000, it had the opportunity to purchase Netflix for $50 million. Around that time, however, its innovation stopped. It failed to respond to mail delivery and streaming innovation, as well as the new consumer behaviors such innovation engendered. In 2000, Blockbuster turned down the opportunity to partner with Netflix and allow them to run Blockbuster Online. Much like Borders, Blockbuster fell back on its brick and mortar success, believing it would carry them forward as it had in the past. In 2004, Blockbuster CEO John Antioco recognized the danger of Netflix and Redbox. Specifically, he recognized that both companies had created a shift in consumer expectations around fees and fee transparency. He implemented the elimination of late fees for Blockbuster and the formation of Total Access, a platform allowing customers to purchase DVDs online and return them in-store. The response to customer expectations worked, and Blockbuster saw its subscriber base surpass that of Netflix’s. Internal parties, however, objected to the $400 million it cost to eliminate late fees and implement Total Access and pushed Antioco out. The next CEO returned to the legacy brick and mortar strategy. Five years later, Blockbuster went bankrupt. These three use cases reveal the nuances behind recent examples of industry disruption and company bankruptcy. Technology alone — in this case, the Internet — was not enough to kill any of these businesses. The Internet did, however, catalyze a shift in the behavior and interactions of consumers, producers, and market players. The companies above failed to adapt to that change. Borders did not recognize the growing preference for the convenience e-readers. Tower Records did not tap into the core desire to download a single song. Blockbuster did not realize that consumers would shy away from brick-and-mortar when possible. At the end of the day, it is not technology outright that catalyzes change. Rather, it is the shift in behavior and expectations that new technology creates that weeds out old businesses (and business models) and generates new ones. Blockchain technology has given rise to a number of declarations about the disintermediation, disruption, and end of legacy corporate companies and the rise of new, equitable businesses. More efficient processes, stronger data security, and better interoperation will allow many of these new companies to cut away at the market share of incumbent economic behemoths. But many current companies will survive. And they will do so not just by implementing blockchain technology, but by shifting the way they behave: how they operate with their partners, how they share data and information with their competitors, and how they interact with their end consumer. The lessons from history are clear — the oil and gas industry would be wise to listen. Ondiflo is a B2B blockchain-based ticketing solution for the oil and gas industry. The solution creates a verifiable and trusted trail of events and attestations for field services logistics, enabling agreement on facts between counterparties so vendors are paid soon after delivering products and services, leading to even more cost savings and benefits. The Ondiflo Consortium is a group of oil and gas companies to assist in the development of the Ondiflo platform as well as learn and strategize about the further implementation of blockchain technology into O&G. Key-players include Producers, Midstream Companies, Refiners, Distributors, Service Providers, Financial Institutions, and Electronic Data Exchange Providers. Learn more about the Consortium here and email here if you are interested in joining. Disclaimer: The views expressed by the author above do not necessarily represent the views of Consensys AG. ConsenSys is a decentralized community withConsenSys Media being a platform for members to freely express their diverse ideas and perspectives. To learn more about ConsenSys and Ethereum, please visit our website. A Recent History of Innovation was originally published in ConsenSys Media on Medium, where people are continuing the conversation by highlighting and responding to this story.